Now, when it comes to Sony, we are hardly ever short on rumors and speculations. For example, just recently we heard that Sony's upcoming Xperia Z6 lineup might consist of five devices - a 4" Xperia Z6 mini, a 4.6" Xperia Z6 Compact, an Xperia Z6 with a 5.2" display, a 5.8" Xperia Z6 Plus, and finally, a ginormous 6.4" Xperia Z6 Ultra. Allegedly, four of these will be powered by the promising Snapdragon 820 chipset. However, we just got hold of a contradicting new rumor, which claims that Sony will not drown us with Xperias in 2016, but focus on no more than two major devices for the whole year. According to cnBeta, Sony might unveil one of these in May and start selling it in June, while the other one could be announced in September (probably at IFA 2016) and hit the shelves in October. 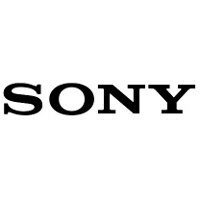 There won't be a Sony flagship at CES 2016, if cnBeta is to be believed, and rightly so - the Xperia Z5 series has been on the shelves for roughly two months now. The source claims that both of these phones will be equipped with the Qualcomm Snapdragon 820 chipset and feature metal back covers, which will be a "first" for Sony. Additionally, cnBeta claims that none of them will feature 4K displays like the so-so Xperia Z5 Premium, which we recently reviewed. This will perfectly fall in line with Sony's usual practice of treating us to two flagship devices each year. This 6-month update cycle was going strong last year but got paused in 2015, when Sony released a flurry of Xperia Z3 variations that had minor differences between them themselves, like the Xperia Z3+ and Z4v. As usual with rumors and hearsay, get some salt in hand and put your speculative hats on. Rest assured that as more rumors and info arrive, we will keep you updated at all times. Overhaul the fingerprint scanner Sony! Why? I find it working just fine. Couldn't agree more. There is a huge market niche slightly above 6'', which is by my opinion, ultimate size for a pocket-fit portable device until foldable screens arrive. So-so Xperia Z5 Premium? Stupid fanboys at iPhonearena. How is a phone with good battery life, one of the best cameras, IP68, a brilliant 4K screen, micro SD, FM, and Sony's great UI so-so?! No, he's right. PA just hate Sony, or rather get paid to troll any maker other than Sammy and Apple. I'm a big Sony fan, but I don't see any Sony "hate" from PA. The only trolling and hate I see is actually coming from you. It's funny how some people do the very thing they claim to hate in others. So it is mediocre because it has an overkill display? Nice logic Albert! Sony has some great phones and phone arena is the most biased tech site there is. "Two flagships" better mean a Z6 Ultra in H1 and a lone Z7 in H2! sony need to do something about their pricing. They are not apple or Samsung. They cannot compete with those two so they should price their flagship phone lower than those two giants. eh i stopped caring for sony phones i was disapointed they didnt release the z5 premium in the US just like there other phones.. SURE i could of bought an unlocked one but thats just a waste of money . Because since i have att im pretty sure i would not get HD voice or advanced messaging or lte on there upcoming 30 band since it dont support it. Samsung probably will launch the S7 in january . So Sony definetly have to announce the device in march or february.otherwise they are lagging behind. If sony announce the device in march .we would only be able to buy the device in june or july. Sony is very late in releasing phones. So z6 in march is a must if they want good sales. And Their should be a Z6 ultra in march as well. No ultra version for the last 2 years. Z5/6 Ultra in January, with top spec. Nothing else matters..... (snapdragon 820, biggest camera, full loaded memo + sd-card support++) Cant wait for a real phone without sd810.